In a large bowl combine the first three ingredients, then add the jalapeños and Crab meat. Toss till well blended or mixed. In a blender add bread and whip until fine bread crumbs. Add all the seasonings to the bread and then add all to the crab mixture. Mix well then add the cheese and mix well again. Let set in the frig while you heat up oil to 375. 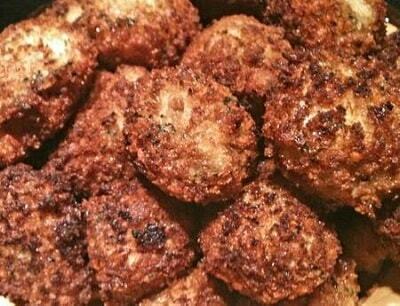 Then form your crab mixture into small balls and deep fry till golden brown. Serve with your favorite sauce or eat as is best eat while hot. Recipe and photo courtesy of Bubba and Earl's Outdoor Grilling. Used with permission.